Moving to the United States to take a new position with new possibilities should be a reason for excitement and celebration, but may also be a time of uncertainty. Amidst the excitement, there will be challenges including the need to deal with US tax consequences, compliance and reporting requirements, and various responsibilities you’ll have based on your residency status. 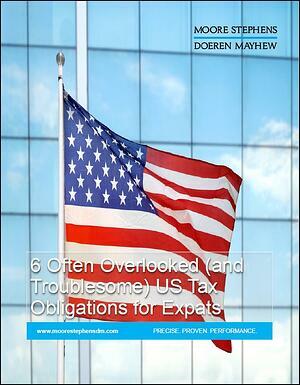 At Moore Stephens Doeren Mayhew we’ve identified what we consider to be six critical US tax situations or obligations that tend to be misunderstood, ignored, or treated incorrectly leading to a slew of unwelcome surprises and onerous consequences. Minimize tax surprises and penalties by downloading our eBook today. Simply complete the form. Thank you.